Dariusz Bakowski, a local turkey grower and owner of Fermy Drobiu Bakowski, based in Inowroclaw, Poland, was one of the local business owners that recently welcomed a group of turkey producers from the United States. The visiting producers are with Dakota Provisions in the USA and included CEO, Ken Rutledge, Plant Manager, John Hott, and Chairman of the Board, Jeff Sveen. Jeff is also the current Chairman of the National Turkey Federation in the USA. 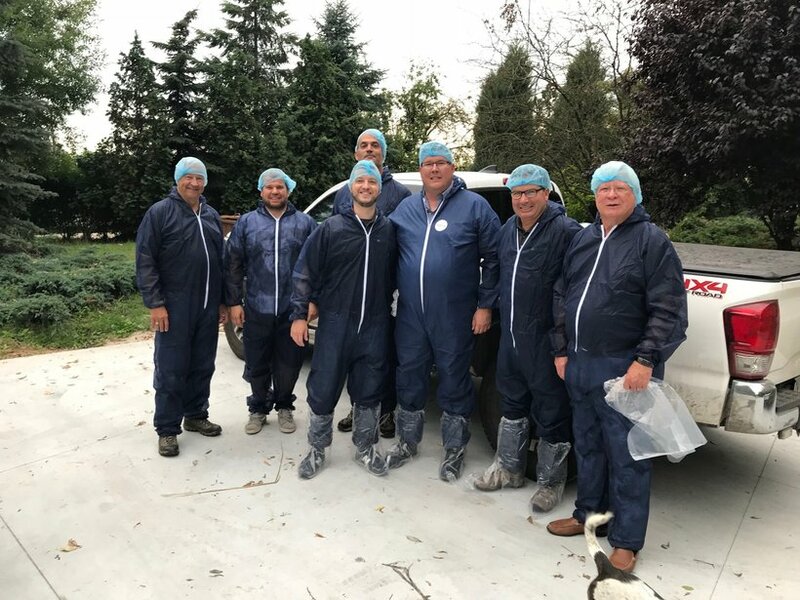 The visit to the Bakowski farm was one of many facility visits where the Dakota Provisions team were exposed to different ways of raising and processing turkeys. Following this, the Hybrid Turkeys Grelavi team presented to the group on the European and Russian turkey markets. A few years ago Dariusz had the opportunity to visit farms throughout the Midwest USA through his contacts at Hybrid Turkeys. The trip enabled him to expand his knowledge on various turkey production systems around the world and take back ideas that he could implement within his own business. Hybrid has always been there to make sure we get the most out of our birds. The trip to the USA allowed us to gain a deeper understanding of how others raise turkeys and expose ourselves to a greater variety of systems and processes, such as water sanitation systems. My trip, and the hospitality from the local growers, left a lasting impression. I was honoured to return the favor and welcome visitors from the USA, showcasing how we raise turkeys in Poland. There are so many ways to raise turkeys. I aim to expose producers to different ways of turkey production from around the globe that can offer great value to their operations. There is so much more we can achieve if we find a way to share our experiences.